Gov. Palin and AZ Gov. 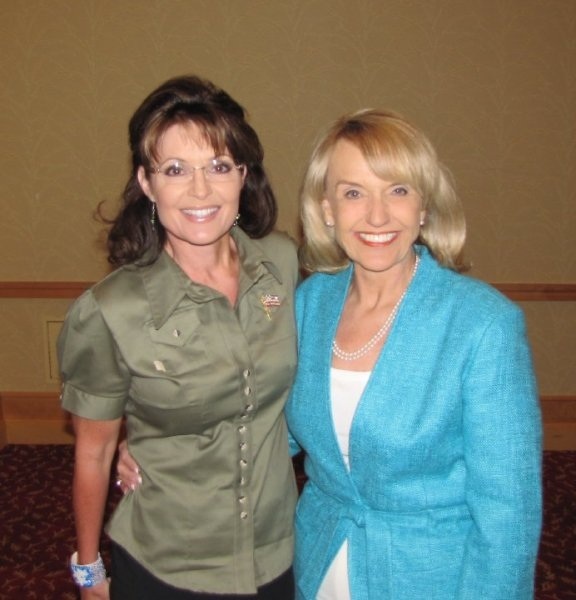 Jan Brewer. Special thanks to Missy Stewart for supplying photo. Let’s respect the hardworking, accomplished legal immigrants who sacrificed much, contributed selflessly, and helped build America into the greatest melting pot on earth! We need to understand the importance of America’s fair immigration laws. Erasing U.S. borders will destroy our country as we become less safe – and this national security issue is what Arizona and other border states are addressing with reinforcement of federal immigration laws. They have to do it because the feds aren’t doing it. I spoke with Arizona Governor Jan Brewer yesterday, and she reminded U.S. citizens that, despite President Obama’s ignoring this grave national security threat, his dismissal of the need for border security is no laughing matter – and it’s being used as a political tool to divide her state along racial lines. The Arizona immigration law mirrors the fed’s own law. It sure would be helpful if the Obama Administration would read the short 10-page bill before laughing about it and condemning it. And it would be helpful if the media would actually read it before twisting reports on its content. Log on to securetheborder.org to learn more and show your support for our sister state of Arizona! 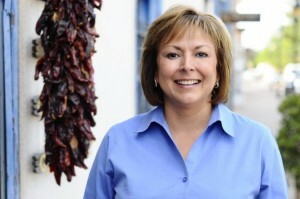 I’m proud to endorse Susana Martinez for governor of New Mexico. Susana is a strong pro-family, pro-life, pro-Second Amendment, pro-development fiscal conservative who’s going to fight the corruption that’s plagued her state and bring transparency, accountability, and renewed fiscal vitality to New Mexico. As a tough district attorney, Susana fights for justice everyday in this promising, beautiful state. Her unwavering commitment to bring justice speaks to her determination and strength of character. As governor, Susana will lead New Mexico to a new economic vitality based on free market reform that cuts out the cronyism, invites competition, reduces taxes, cuts waste, and creates jobs – all while identifying and rooting out the corruption that has taken hold for too long in this state which deserves so much better! Please join me in supporting this breath of fresh air from the Land of Enchantment – the gorgeous state of New Mexico! Visit her website here, and follow her on Facebook and Twitter. I’m also excited to join Susana at the 9:00 am rally tomorrow, Sunday, May 16th, at the Albuquerque Marriott Grand Ballroom, located at 2101 Louisiana Blvd. NE. Space is limited, so please click here to RSVP if you can swing by and join us. 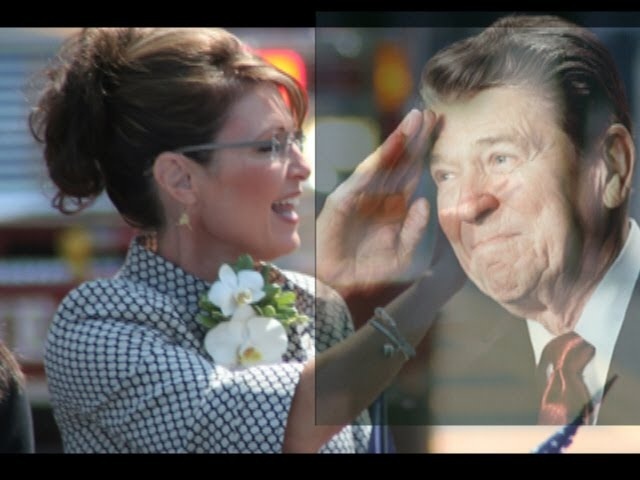 Governor Palin is executing her promise to support Reagan-Conservative candidates in primaries and the November 2, 2010 general election. Please support Gov. Palin and these candidates by donating to SarahPAC as much and as often as you can, and by donating and helping her endorsed candidates.